How often do you run into a brick wall as you follow the thread of an idea? Get a spark and have it immediately snuffed out when your brain steps in to list all the reasons the idea won’t work? 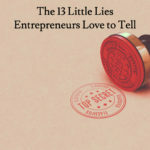 Or otherwise feel like you’re failing as an entrepreneur because all your best ideas seem to be hiding behind a thick membrane you can’t quite get through? Step away. Take a deep breath. Give yourself some space. But when you try to switch off and unplug, nothing really changes. You come back to the same place, with the same issues and frustrations. And you feel like the time away was wasted. You might as well have stayed and tried to power through. 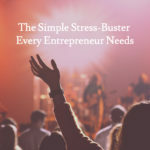 It may sound totally counterintuitive, but what if I told you that you need to reconnect, before you can disconnect? You need to get back into your body, to reconnect with your muscles and joints. To embody the physical vessel your brain resides in, so that you can start to tap into the full power of your mind. 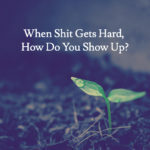 As a constantly-connected always-on and hustling entrepreneur, chances are that you’ve stepped so far outside your body (and away from your mind) that you need to find your way back in. Before you can disconnect and give yourself space to innovate in a meaningful way. Your body (and by connection, your mind) is a self-limiting device. Lack of sleep, poor nutrition, stagnation — these can all cause your body to perform poorly. And the usual response to issues that arise might be to medicate them away, or to ignore them. To power through. And when you disconnect in this way, it shorts out the bond to your internal wisdom. When you isolate yourself from your self, that’s when you start to run up against the limits of your mind. You lose the ability to innovate. To make outside-the-box neural connections and see the answers that are hiding just on the other side of the membrane. In the same way that you need to have an understanding of the rules of a system before you can start to manipulate it, you need to reconnect to the body in a meaningful way before you can step away and get the type of brain-space you need to access true innovation. That’s where practices like yoga and other mindfulness tools come in. You give yourself a chance to reconnect with your body — so that you can disconnect in a meaningful way. You get up close and personal with the physical vessel so you can understand how and where it might be holding you back. And from a place of deep connection, you gain the space you need to break through. This is one of the key tenants of the Yoga of Innovation, a 5-week series that I run here in Charlottesville. This idea of reconnection with the body is the focus for the first week, setting a foundation for the practices that came in later weeks — the practices that allow us to tap into a limitless part of the brain, where innovation becomes as instinctive as breathing. If you’ve been feeling a bit stuck, or just want to learn some practices that will help you break through the barriers that hold your business back, stay tuned for the next class series.